A new program funded by Wounded Warrior Project aspires to improve mental health services and care for veterans in the private sector. The charity is using $70 million to fund an effort that will create outpatient programs at four of the nation’s top academic medical facilities, aimed at helping sufferers of post-traumatic stress disorder and traumatic brain injury. WWP Chief Program Officer Jeremy Chwat said the initiative, known as the Warrior Care Network, will create a series of programs that will integrate behavioral health care with rehabilitative medicine, wellness, nutrition, mindfulness and family support for post-9/11 veterans and their families. “Tapping into private health care [in conjunction with what is offered at Veterans Affairs] is something we think can benefit not only the warriors in our program but those who are accessing mental health treatment at VA and other programs,” Chwat said. Participants are Emory University’s Veterans Program, Atlanta; the Red Sox Foundation and Massachusetts General Hospital’s Home Base Program, Boston; Operation Mend at the University of California-Los Angeles; and Rush University Medical Center’s Road Home Program in Chicago. 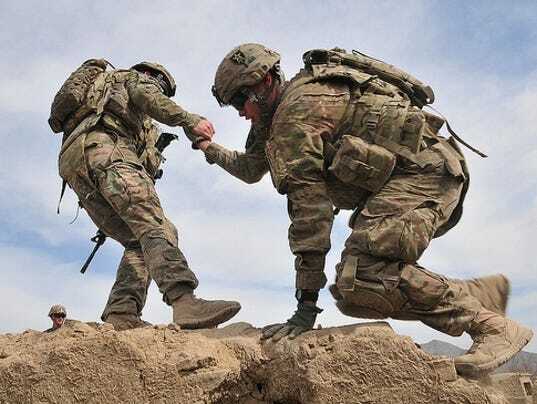 The Warrior Care Network is one of 21 programs established or managed by Wounded Warrior Project to help troops from the Iraq and Afghanistan wars and others who served after Sept. 11, 2001. Wounded Warrior Project helps 70,000 former troops through initiatives ranging from its Independence Program, an effort that enables severely disabled veterans to live in their homes and communities, to the veterans employment Warriors to Work program, combat stress recovery program and more. Chwat said the Warrior Care Network will provide “culturally sensitive care” to veterans, track their progress and share best practices with other organizations in the mental health community. The goal is not just to serve veterans in the network but to raise the bar for veterans mental health care for all private practitioners who eventually will be able to learn from the program’s lessons learned, he said. “As they are treating warriors, these organizations can talk to one another and learn from one another. We also can track data and outcomes and really learn what is best practice in providing mental health care for wounded warriors,” Chwat said. WWP will give each organization $15 million over the next three years, and donate $10 million to go toward infrastructure costs. Each participating group will commit $7.5 million to the program as well. UCLA Chancellor Gene Block said the collaboration will build on an established program at the university — Operation Mend — which has helped more than 120 veterans recover from disfiguring injuries and related mental health issues through surgery and counseling. “This funding will expand Operation Mend’s highly successful holistic approach to restoring our wounded warriors in body, mind and spirit,” Block said. Dr. Mark Pollack, chairman of the Rush Department of Psychiatry, said the Warrior Care Network will greatly expand the understanding of veterans care in the private sector and will help veterans and families in the long term. “In partnership with our colleagues, we will better serve veterans and families in the Midwest and across the country,” Pollack said. Criticized recently for its aggressive fundraising efforts and well-salaried executives, Wounded Warrior Project runs on an annual budget of more than $300 million and spent $242 million on its programs in fiscal 2014. Chwat said programs such as a long-term trust to care for the most severely injured veterans as well as the Independence program, which costs roughly $44,000 per veteran per year, are expensive and justify WWP’s business model and fundraising tactics. “The only reason we are able to do the sort of transformational programming we are doing is because we have invested in our fundraising and infrastructure,” Chwat said. Some in the mental health community have long been concerned that private-sector mental health providers lack the background and understanding to treat veterans with combat and military-related psychiatric conditions. A study by Rand Corp. found that private efforts to provide mental health treatment to former military personnel can be an effective adjunct to or substitute for VA care if providers are well versed in conditions affecting veterans and effective treatments. Chwat said programs like Warrior Care also may draw veterans who are reluctant to seek care at VA. Although the selected sites are at all points of the compass in the continental U.S., the program is not limited only to veterans near the facilities. Chwat said any veteran who is ill, injured or wounded and served since Sept. 11, 2001, is eligible and should contact Wounded Warrior Project about their programs. “Cutting-edge, integrated mental health care … this is not just one facility or one program operating in isolation but truly an aggregation of the outcomes to learn lessons and better the care for thousands of wounded warriors,” he said.